Embassy Row: Washington's Greenest Embassy The Embassy of Finland becomes the first Embassy in the U.S. to earn LEED Platinum certification. The Embassy of Finland celebrated a major green achievement Wednesday night, becoming the first embassy in the United States to earn platinum LEED (Leadership in Environmental Energy & Design) certification by the U.S. Green Building Council. To celebrate the occasion, guests wore green and the band Suspicious Package provided entertainment. 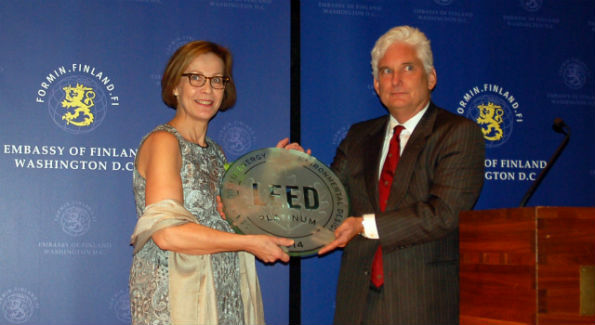 Green Building Council president Roger Platt presented the LEED plaque to Ambassador Ritva Koukku-Ronde. “This building is the physical manifestation of Finland’s commitment to a better world,” said Platt. This is not the first time the embassy has been honored for green efforts. 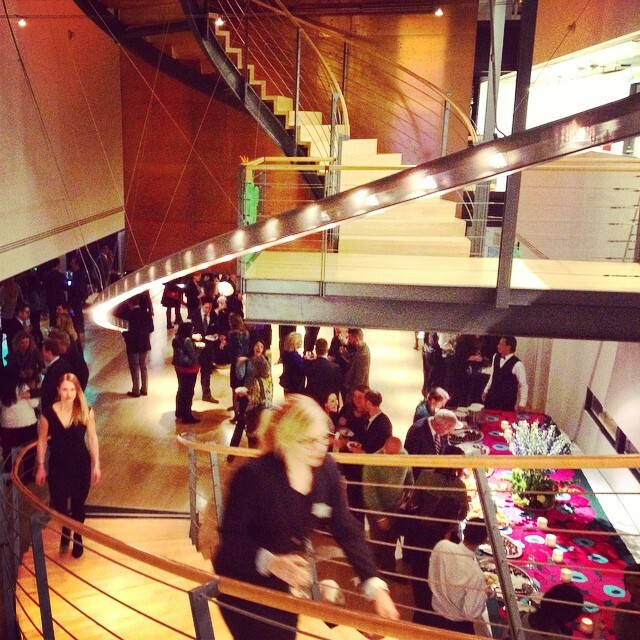 In 2010, it was the first diplomatic mission in D.C. to receive “Gold” LEED certification. But the embassy aimed for better, going greener every year. Exterior lighting in the evenings was decreased, and the property manager and team closely monitor electricity, water and gas use. The embassy now uses half the electricity and 65% less gas than it did in the mid-2000s. There were no plastic cups, plates or cutlery at the reception, just one of the measures practiced to reduce waste. 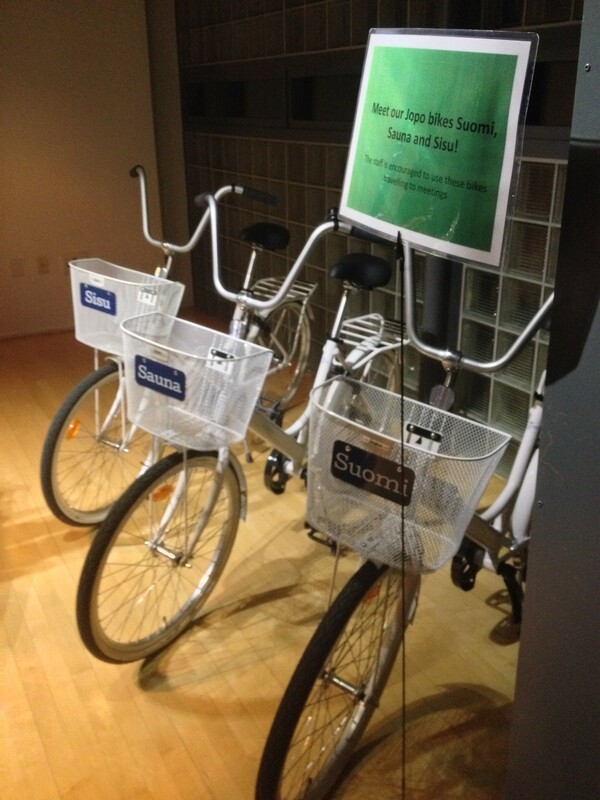 Any furniture purchased is 100% biodegradable, and three “Jopo” bicycles were purchased for embassy staff to get to off-site meetings, as they’re encouraged to walk, ride bikes or take public transportation over driving. Toilets and faucets are fitted with water-saving devices, and water faucets were recently replaced with more efficient ones that use only 0.5 gallons of water per minute. “All this reflects Finland’s strong commitment to environmental sustainability, and we are a leading country in renewable energy and clean technology,” said Koukku-Ronde. Finland’s Ministry for Foreign Affairs Secretary of State Peter Stenlund, U.S. Department of State Under Secretary Patrick Kennedy and the EPA’s Beth Craig also made remarks. The U.S. Embassy in Helsinki is the only other LEED Platinum embassy in the world.